A: Yes. A referral needs to be submitted to our office by a medical doctor for all services, including evaluations, consultations, and therapy before an appointment is scheduled. Our receptionist can assist you in that process. Q: How much does an evaluation cost? A: The cost will vary depending on the amount of testing that is done. The prices are listed in the office policies. Please be advised that the evaluation process can typically range anywhere from 5-12 hours. Q: How long will it take to get in for an evaluation, consultation, or therapy? A: The wait time for evaluations (neuropsychological & psychological) is generally about 5-6 months. These are time and labor-intensive procedures, so only a few are completed each week. The wait time for consultations varies considerably, but is typically 2-3 months. ​The wait time for therapy is dependent on several factors, including current provider caseloads, urgency and complexity of the referral, and the availability of the client and his/her family. We require a referral from the primary care provider for therapy services to ensure the most effective care for our clients. Our providers balance their caseloads to ensure they provide the best care to all of their clients. As such, new clients are not accepted based simply in the order of telephone intake date because some conditions are more complex and require more time from the provider than do others. Additionally, an opening in a provider’s schedule may or may not fit with your schedule. The probability of an earlier intake increases If you can be flexible with your schedule. 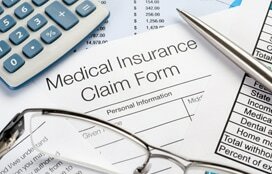 Q: Are your clinic services covered by my insurance? Is Psychological/Neuropsychological testing covered by my plan? Is there a limit to how many therapy sessions and/or testing hours per year that insurance will cover? Are there any diagnosis and/or age exclusions? Does my insurance require pre-authorization for therapy/testing? A: At this time, we are contracted with First Choice Health, Premera Blue Cross, Group Health, and Asuris for evaluations and therapy. Q: What if I have a different insurance provider? A: You will be responsible for the cost of the evaluation, consultation, or therapy at the time of service. We will give you the information you will need at the feedback appointment so that you may bill your insurance company and get reimbursed from them. Q: Do you accept payments plans? A: We are happy to work with you on a reasonable payment plan.